drenaLINE - one rope equally efficient! Maximum freedom in choosing the right technique. 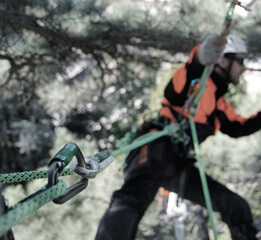 For many years, TEUFELBERGER has specialized in professional ropes and products for tree care. Beautiful and healthy trees are a hallmark for many public and private institutions. A sustainable and gentle treatment of nature is a prerequisite for preserving it, which calls for the appropriate equipment and tools. To meet the requirements and needs of arborists, TEUFELBERGER has been cooperating with international greats of arboriculture for many years. Together with these experts we have developed premium quality products and solutions for tree care. 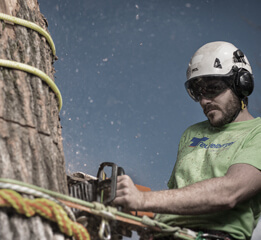 Our experience in rope production as well as the close cooperation with the world’s best specialists in tree care (www.treemagineers.com) has enabled us to develop and produce high quality products for this field. 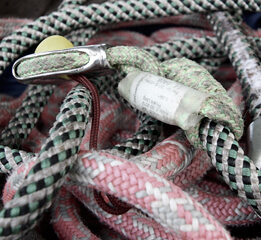 We manufacture, among other things, ropes, harnesses, various lanyards, Prusik loops, cambium savers and loops that meet the high demands of those using the equipment. 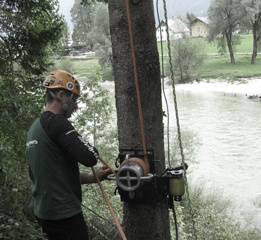 Our know-how makes the work of many arborists worldwide easier and safer. To ensure that all the work promoting the growth of a tree can be performed properly, we offer a wide range of products. 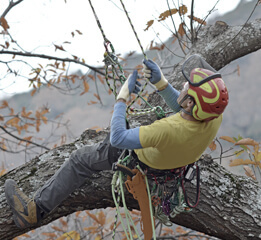 In our Tool Line, for example, you’ll find our climbing harnesses for tree care, as well as all other additional products and accessories. 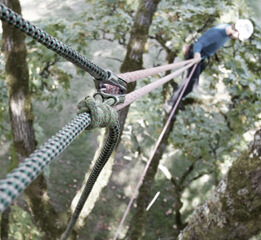 Our Climbing Line includes all climbing ropes, and our Rigging Line features the arborist ropes for rigging. In the Hitch Line category, we offer various hitch cords and accessory cords. The Winch Line impresses with its professional fiber ropes for winches. Our tree care portfolio is rounded off by replacement and enhancement products.